Product code: N332 Categories: Antique, Antique Cameo. Here is truly one of the most magnificent antique cameo sets around. Made in 18ct yellow gold, the set comprises of a cameo brooch that has a locket compartment in the reverse and matching earrings. All finished with those wonderful tassles, this is a true collectors piece for anyone who adores antique cameos. The dimensions of the brooch is 41mm wide x 70mm from the very top to the bottom of the tassle, and the cameo measures 33mm (wide) x 23mm (high). The earrings measures 65mm from the top of the ball to end of the tassle, and the cameo measures 29mm (wide) x 33mm (high) and are fitted on shepherd hooks. 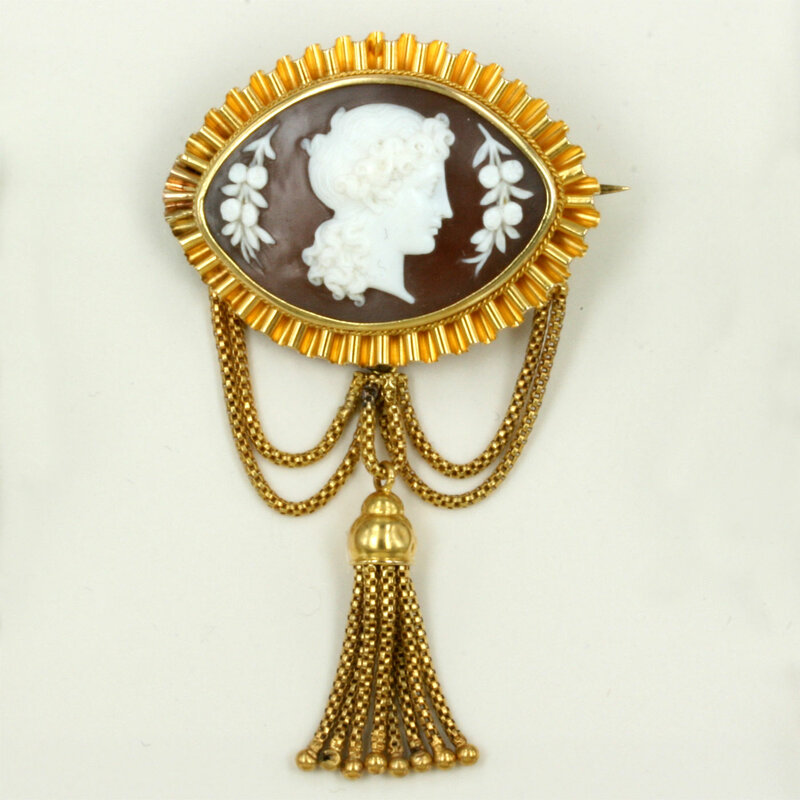 This is a stunning antique cameo set, and one that will stand out when it is worn.